For those of you asking about apps to turn your iPad into a second screen monitor, the best app we would recommend here is Duet Display ($13,99). Duet works seamlessly with zero lag and offers a wide variety of powerful features that include Retina display resolution with 60 frames per second, touch-enabled screen, works in different modes ( landscape or portrait) and many more. Also the process of setting up Duet Display is very simple, you simply install the app and connect you iPad to your Mac or PC using a USB cable (Lightning or 30-pin cable) and there you go. Duet is compatible with all desktops ( OS X10.0+ or Windows 7+), all iPads running iOS 7.0 or up and all iPhones with iOS 7.0 or up. 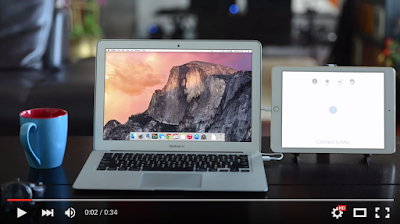 Watch the video below to learn more about Duet Display. Air Display 3 ($13,99) is another good app to use to convert your iPad into a second monitor. 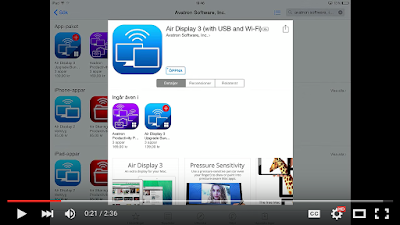 Unlike the previous versions of Air Display that supported only Wi-Fi connection and causing a lot of lagging, This new version supports both USB and Wi-Fi and so far the use of USB cable proves to be a huge improvement. Air Display 3 is available for both iOS and Android. Watch the video below to learn more about this app.